I don't know about you, but one of the things I look forward to the most, is watching the kids unwrap their Christmas presents each year! The excitement on their face when they open that gift they have been hoping for always makes me happy! I always love to work with Karan's sketches! I wanted to create my own tree so I used the PowderPuff Chalking Ink in Green with Envy to color the ribbon for my tree. 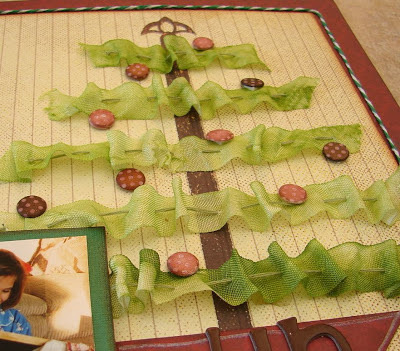 If you would like to see how I colored the ribbon and made the tree, I have created this video tutorial... Enjoy! Gorgeous take on the sketch. 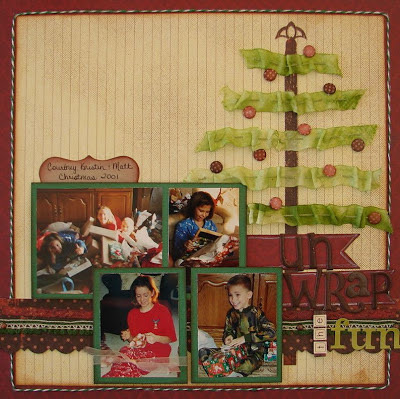 I love the pleated ribbon on the tree. Thanks so much for sharing your tutorial. http://www.scrappinlilscreativesideblogspot.com ....hope you stop by and have a Merry Christmas! 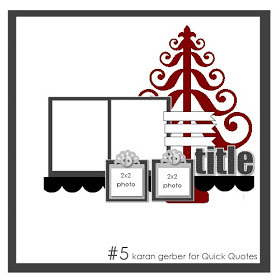 Karan's sketches are always beautiful and love your tree!! Your layout is so creative! Merry Christmas!